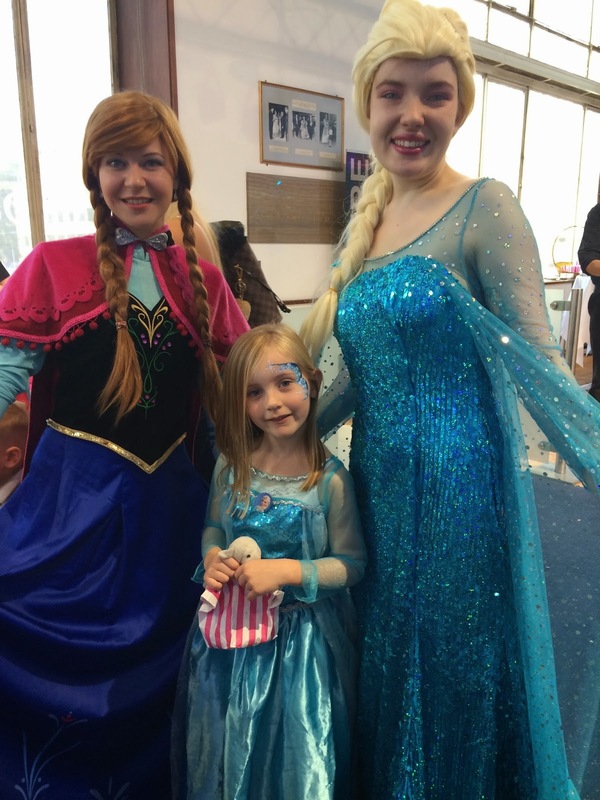 We were lucky enough to be invited to the Fairfield Halls in Croydon recently for a gala screening of Frozen Sing-a-long. I obviously haven’t grown tired of Frozen yet because I was as excited as Isla. I think it was the thought of being able to sing a long without people sshhing me or telling me to stop singing (Noah does this). 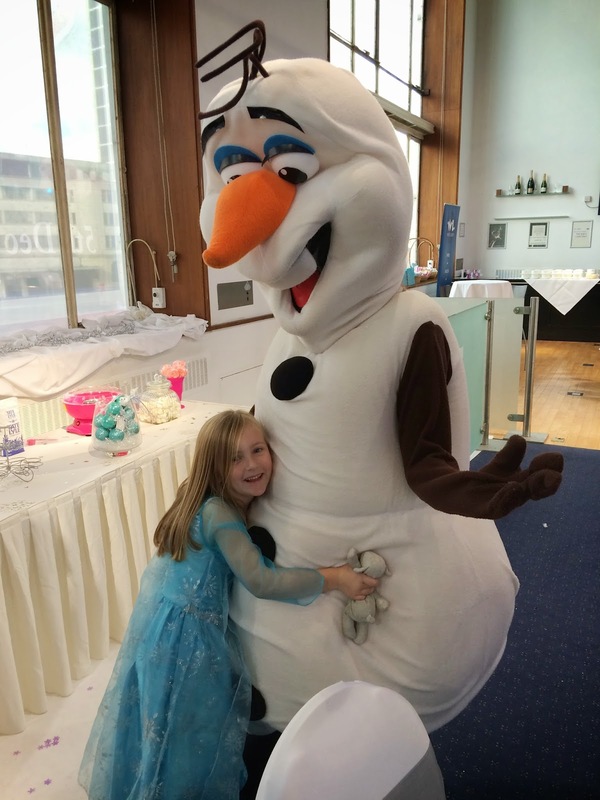 It was promised to be lots of fun, with Elsa, Anna and Olaf in attendance and it really was. 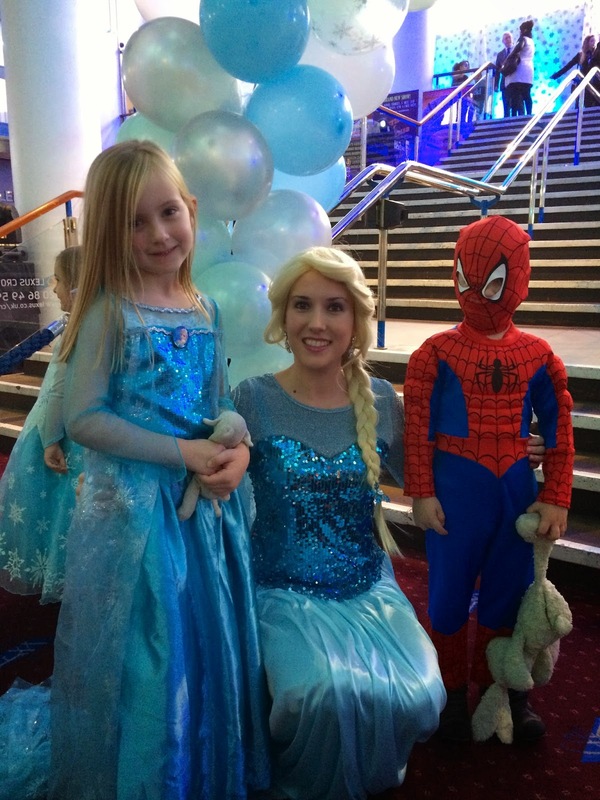 Isla donned her Elsa dress and not one to be left out Noah dressed as Spiderman (you mean you didn’t catch Spidey in Frozen?). I’ve always loved The Fairfield Halls – it is an institution in my area. As a child I went there fairly often and feel sure that my first cinema experience was there for a showing of Disney’s Fantasia with my parents and for many years all the females in my family would go to The Salvation Army Carol Concert – where I also got to sing my lungs out to all the Christmas Carols. I also got to meet high calibre celebrities, Bob Holness, June Brown (Dot Cotton) etc., I know I’m stretching the celeb factor there…. The event was organised to showcase the new digital cinema screen and sound system. The new set up now means that they can screen live events, such as ballet and opera. Pretty cool and we got to experience it! Prior to the film starting the kids were treated to some face painting and goodie bags and LOADS of sweets. I say loads in bold because it was clearly too many as the kids demonstrated later on that day (I’ll leave you to work out what that means). Then came the sing-a-long and it was great. Isla was in fine voice and we were joined by blogger friend DadblogUK and his family. This was great as the girls know one another but hadn’t been together for a while, so excitement was taken to another level. We had a great time that morning and it’s definitely reminded me of what a fantastic place Fairfield is and how I’d love my kids to also make some memories of their own there. We were given free tickets to this screening of the Frozen Sing-a-Long.